Crunch is a health food café concept, serving pre- and post-working food, as well as other healthy lunch and snack options. 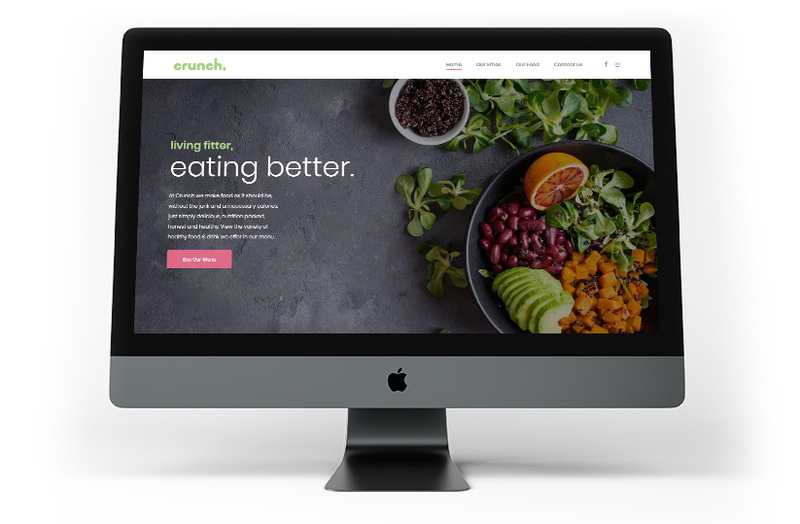 Before the Café was ready to serve customers, we were tasked with the challenge of creating the brand identity from a simple idea – ‘Crunch’ food as it should be, delicious, honest & healthy. The man behind the brand, Andreas, is a personal trainer and was therefore keen on the café (and branding) to ooze health, fitness and honesty. We took the time to really understand the client's drive and the motivation behind the project and worked closely with them to develop a strong brand identity and from this Crunch as we know it was born. As well as creating the brand guidelines, we designed and developed a mobile-optimised website and advised on best practices for social. Crunch is now delivering mouth watering food both in the Café and online on Instagram – see how its getting on here.